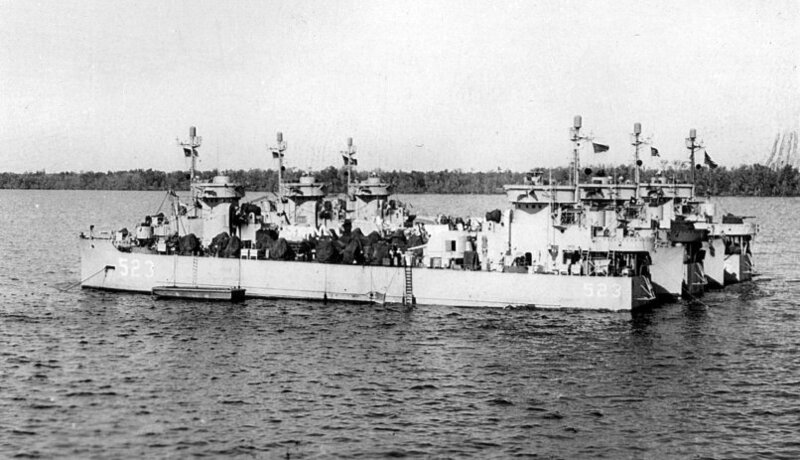 Decommissioned, 28 March 1946, at Green Cove Springs, FL. 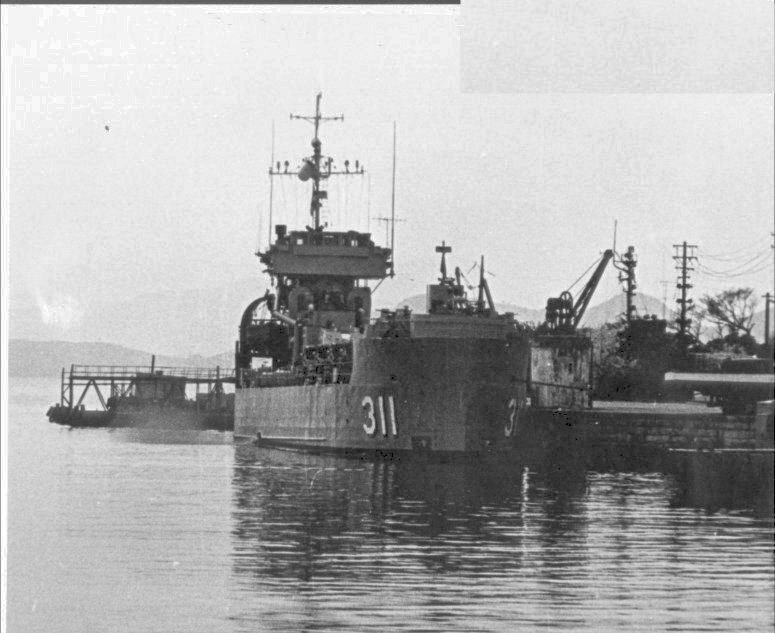 Decommissioned, 5 August 1955, at Mare Island Naval Shipyard, Vallejo, CA. 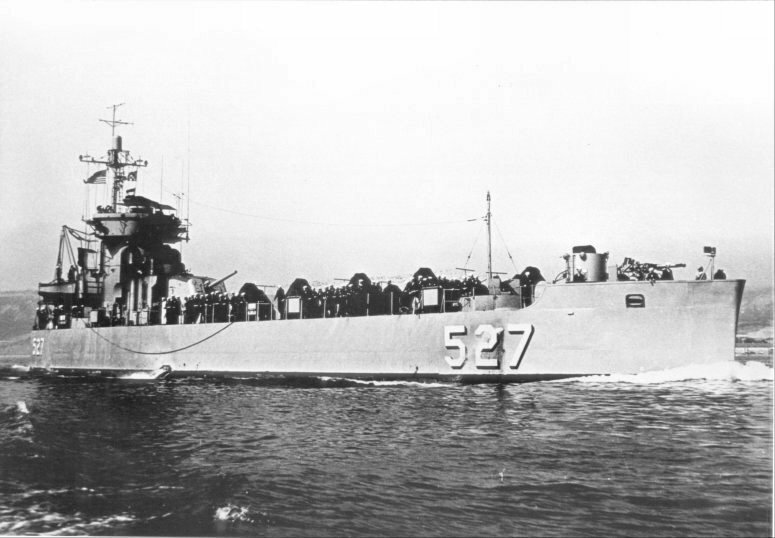 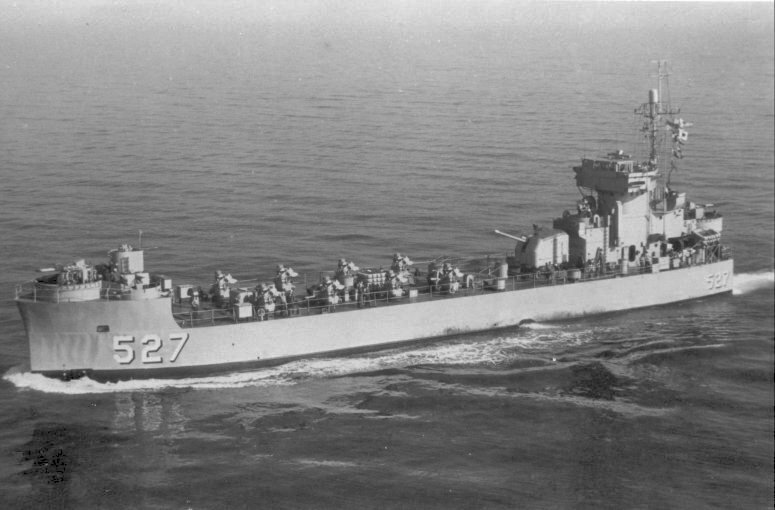 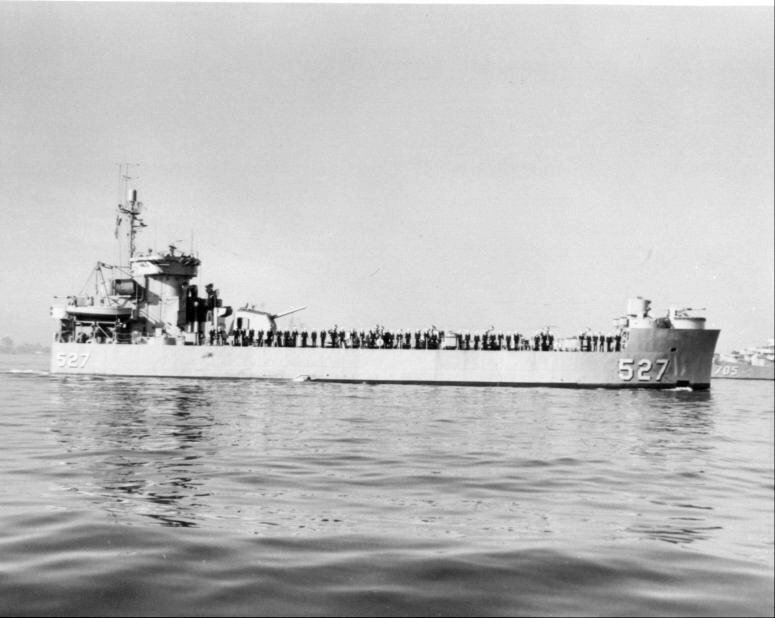 52k USS LSM(R)-527 underway off San Diego, CA., 7 November 1954. 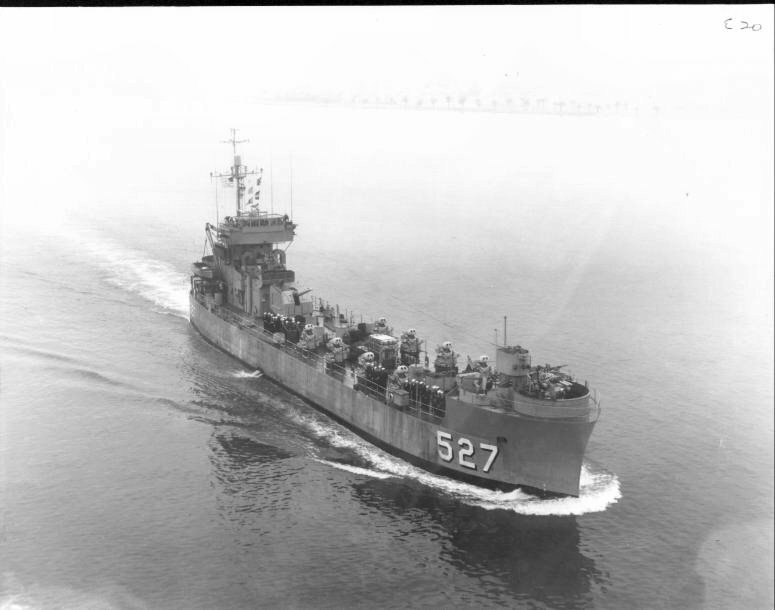 64k USS LSM(R)-527 underway, date and location unknown. 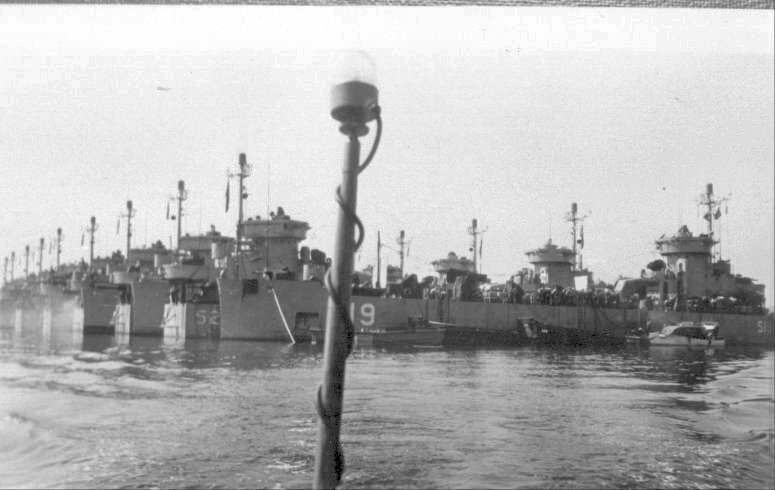 56k ROKS Si Hung (LFR-311) underway with her crew manning the rails, circa 1961, location unknown.